We had planned to make just Sloe Gin, Limonchello, Vin d'Orange and Verveine Liqueur, but Gabrielle brought her home made Quince Vodka and Hanne brought along a home made Mint Liqueur and a shop bought Chartreuse that she felt tasted very much like her home made Mint Liqueur. We were spoilt for taste. Quite a few of our members mentioned their own way of making Sloe Gin, Gabrielle's Sloe Gin dated from 2009 and was very much like a Martini Rosso, she adds cloves to her Sloe Gin, Hanne's Sloe Gin had a much different taste, more fruity. Despite its rustic, somewhat obscure image, there is no mystery attached to making sloe gin, either at home or in a distillery: basically it is a mix of the small, blueish-black berries of the hedgerow Blackthorn (Prunus spinosa), plus sugar, gin and almonds. Pick the fruit in October whilst still firm. 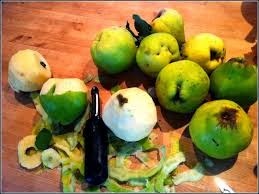 Rince them and put in the freezer, which helps them to break down a little in the gin. Alternatively one can prick them but this is tedious. Put the sloes in a large steralized jar. At this stage they can be lightly crushed with a wooden spoon. Pour in the sugar, gin and almonds. Seal the jar tightly and shake well. Store in a cool dark cupboard and shake every other day for 1 week. Then shake every week for at least 2 months. Finally strain through a muslin, preferably overnight, and then pour into steralized bottles. Scrub 7 lemons, grate the zest and squeeze the juice. Mix with 1 litre of 95° alcohol or 1 litre of vodka. Using alcohol makes the drink more alcoholic. Leave in the fridge to infuse for 8 days. On the 8th day boil 1 litre of water with 500 g of sugar to make a syrup then leave to cool before adding to the lemon mix. Leave 24 hours in the fridge before straining and bottling. Add some Limoncello to a glass of sparkling wine or prosecco, makes a tasty change. 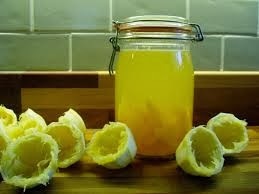 Hanne mentioned that she makes a very clear Limoncello with lemon peel, sugar and eau de vie. 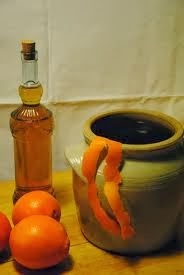 In our village it is common thing to make Vin d'Orange. Many of the vignerons work for the Cooperative, as well as receiving money, they are paid in kind (rosé). Some of it is kept as rosé, but a lot of it is made into Vin d'Orange to offer to visitors. 1 grapefruit (the grapefruit can be replaced with an orange, makes the drink less bitter). Peel two of the oranges and dry the peel either above a radiator or in a very cool oven. Sqeeze out the juice and reserve. Roughly chop the remaining orange and the grapefruit and put these along with the dried peel and all the juice into a large wide mouthed jar. Add the rose wine and pop on a lid. Set aside in a cool cupboard for 3 weeks. Strain out the solids, pour back into the jar and add the sugar and alcohol. Pop the lid back on and shake the jar every day for a week to dissolve the sugar. Strain through a muslin into a jug and pour into a pretty bottle or decanter. Serve this drink icy cold. Add the sugar to the water, shake well to dissolve the lumps. Shake ever so often to make sure the sugar has been dissolved. Leave in bottle for 60 days. Sieve out the leaves and it is ready to serve. Hanne makes a Mint Liqueur in much the same way as the Verveine Liquer. I've received 2 recipes for this liqueur. One from Felicia Victoor, the second from Brigitte Caillol. They are very similar. It is not the right time of the year to make this, but good to know for spring. 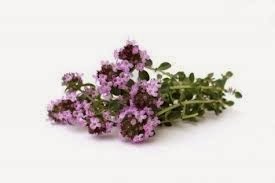 Leave thyme to macerate in alcohol for minimum of 10 days to 4 weeks. 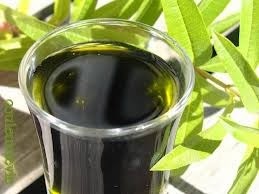 Make a syrup with 1 litre water and 200 g sugar (for those who do not like their drink sweet, use 65 g sugar), leave it to cool. Strain the thyme and alcohol mixture. Add syrup to alcohol. Makes 3 bottles of 70 cl. Mix it together in a large jar, shake for time to time till sugar is dissolved. 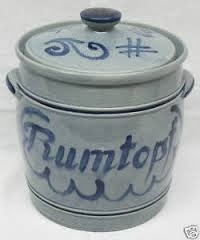 A Rumtopf is a large jar (5 litres) made from stoneware. 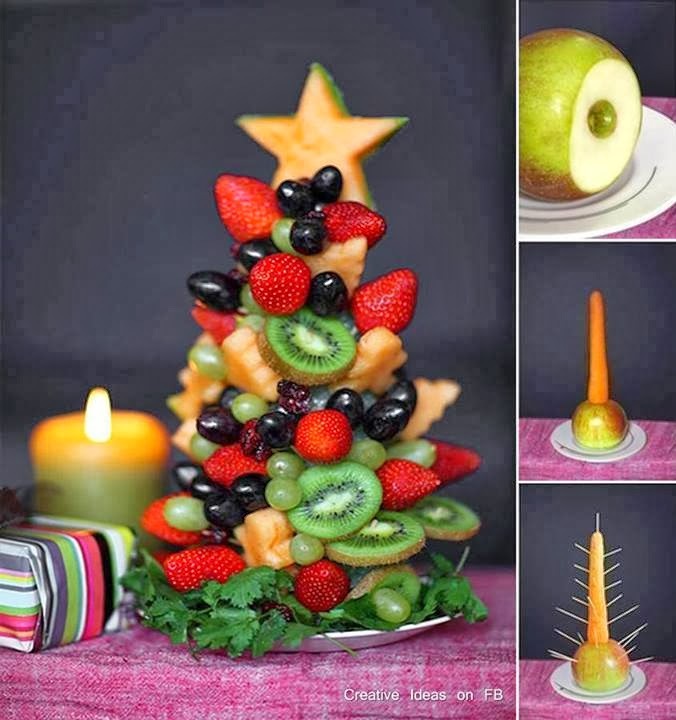 Through the seasons fruit is added together with sugar and rum. The season starts with cherries, followed by whatever fruit in season. Once the fruit is weighed, sugar is added, 1/2 the weight of the fruit, then covered completely with rum. This procedure is followed through the seasons. After the last addition, wait for 6 weeks and enjoy. Thanks to our members for their contributions: Hanne Beasley for her Sloe Gin, Mint Liqueur and Chartreuse; Jeremy Frankel for his Verveine liqueur; Gabrielle Wellesley for her Sloe Gin and Quince Vodka; Gerda Nagtegaal for liqueur glasses; Brigite Caillol and Felicia Victoor for Thyme recipes and Mavis McQuade for making the Sloe Gin, Limoncello and being such a support in this venture. Lors de la visite du jardin de M et Mme Patry aux Arcs, nous avons dégusté des feijoas, pour moi c'était la première fois que j'avais l'occasion d'en goûter. Quand nous avons visité les jardins de la Louve à Bonnieux il y a deux ans nous avions admiré les fleurs du feijoa elles sont superbes et beaucoup d'entre nous plantent des feijoas pour leur floraison spectaculaire. Le feijoa est un arbuste de la famille des Myrtaceae, il a un feuillage persistant gris vert, duveteux sur la face inférieure. Les feuilles peuvent tomber si la température descend en dessous de -12°C. Elles repoussent au printemps suivant. Les feijoas ne parviennent à maturité que dans les régions de climat doux, car les fruits se récoltent vers novembre. Pour avoir une bonne productivité il est préférable de planter plusieurs Acca, afin d'obtenir une pollinisation croisée. Plantez-le en situation ensoleillée en sol bien drainé, il résiste à la sécheresse et aux embruns. Supprimez les pousses situées à la base chez les plants greffés. En mars et avril, rabattez les deux tiers des pousses secondaires.